Rab’s Microlight jackets have been tried, tested and loved for over a decade. Now, it’s time to meet the next generation. Tried, tested and much loved, the Rab Microlight Jacket seamlessly entered the lives of climbers, hikers and mountaineers alike over a decade ago, an instant hit with the staff of great Outdoors amongst others. 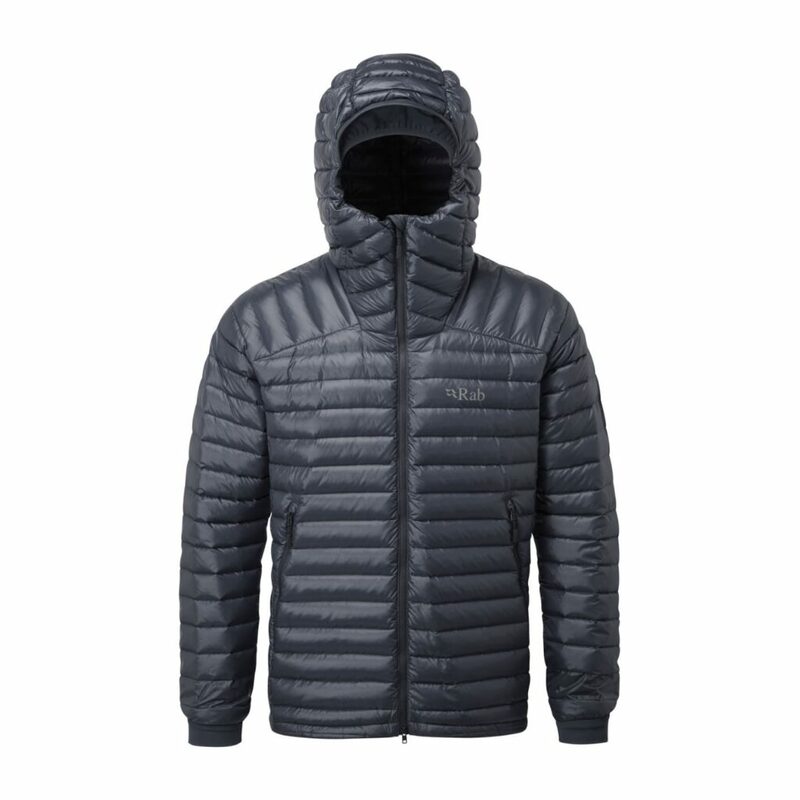 Instantly embraced for its fit, versatility and warmth, it was a game changer for the outdoor industry and quickly became an icon, much copied but never equalled. 10 Years On is a celebration the Microlight, of one of Rab’s most loved products. To the untrained eye, the ongoing changes were subtle. However, on closer inspection, you can see a decade of natural evolution. Refinements here, tweaks there – Rab’s perfectionism and attention to detail shows. This year is bigger than that. Deconstructed, analysed and carefully rebuilt, every tiny detail of the Microlight has been scrutinised and honed. Alongside perfecting the old, they’ve also introducing the new – the Microlight Summit. Born from the classic, the Summit is inspired by innovative new fabric developments. Signalling the start of something special it harks back to the original jacket’s purpose, pure alpinism. Built for the alpinist, every feature and detail of the Microlight Summit has been scrutinised to ensure it functions seamlessly. 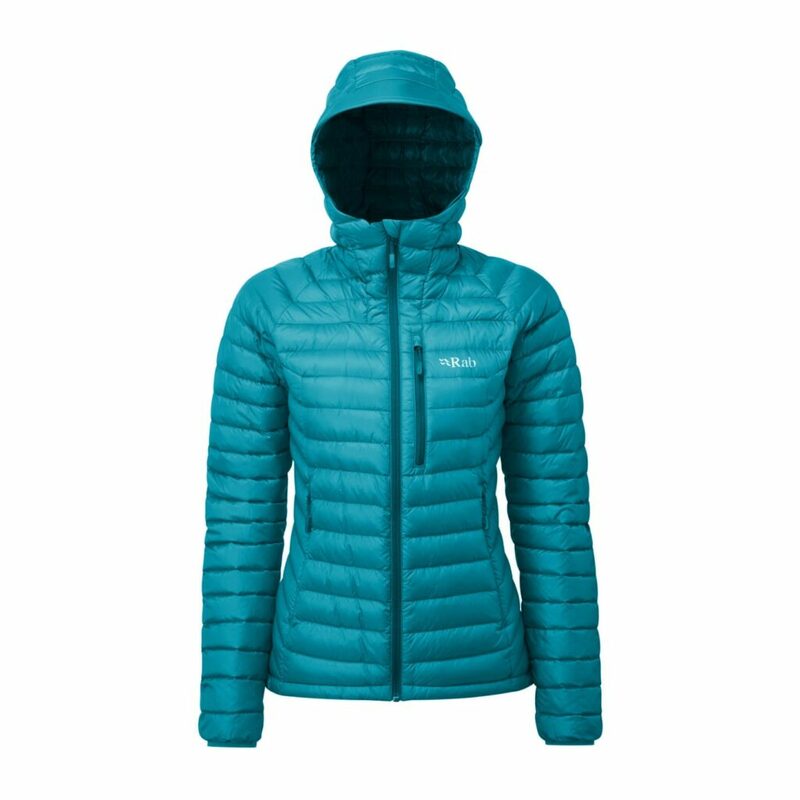 High in the mountains, it offers essential warmth at a practical pack size. constructing baffles, increasing weather protection and boosting warmth. Inside, each baffle is filled with the highest quality 750FP ethically-sourced hydrophobic down. This allows the Summit to pack down to next to nothing and quickly loft again when needed, even in less favourable conditions. Worn as a protective outer, or warm midlayer in cold conditions, the Microlight Summit is versatile and robust with a feature set honed for alpine environments. A two-way YKK zip and stretch nylon cuffs make transitions quick, allowing the jacket to fit comfortably over gloves and sleeves to be pushed up for temperature regulation. While a slightly longer fit in the body, harness compatible hand pockets, insulated zip baffle and chin guard all maximise warmth when belaying. Then when conditions worsen, a helmet compatible hood with an internal stretch gaiter protects from wind and improves the fit around face both with and without a helmet. 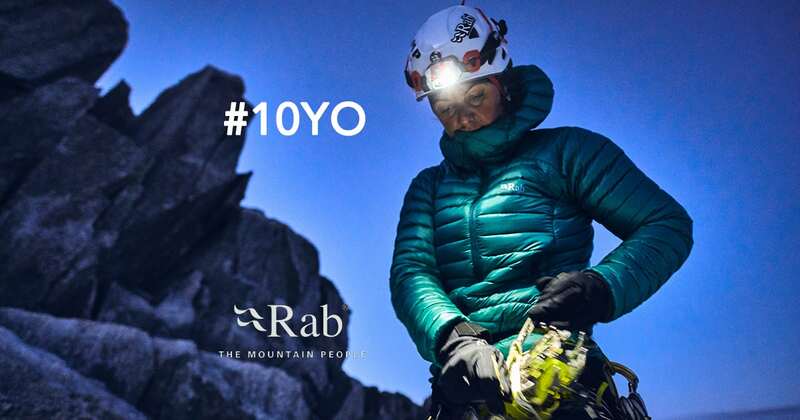 10 years on from its creation Rab have continued to refine and improve this iconic jacket, honing its fit and features. To the untrained eye, changes are subtle. However, on closer inspection, you can see a decade of natural evolution. Refinements here, tweaks there – our perfectionism shows. This year we have deconstructed, analysed and carefully rebuilt the Microlight, scrutinising every tiny detail. Made from Pertex® Quantum fabric, each baffle is filled with the highest quality 750FP ethically-sourced hydrophobic down guaranteeing exceptional protection and warmth without compromising on weight. Features including an adjustable hood with laminated brim and flexible polymer peak, two harness compatible hand pockets and an easily accessible chest pocket. In addition to this, the highly compressible Microlight Alpine also comes with a stuff sack which can be easily clipped to a harness or stashed in a backpack. Available in a wide range of colours and styles, there’s a Microlight to suit everyone.